Star Wars fans have long suspected that our next glimpse at Rogue One: A Star Wars Story would come on July 15. That’s when a panel on the film takes place atStar Wars Celebration in London, so a trailer felt inevitable. Now, we have confirmation that it’s coming — and it’ll be on TV too. 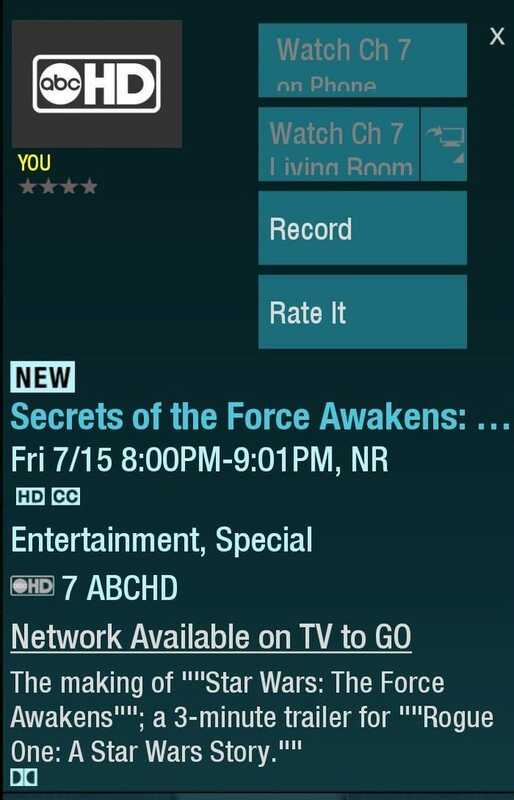 Making Star Wars found the following image in TV listings for next week, which says a new Star Wars special airing on ABC July 15 will include the world premiere of a three-minute Rogue One trailer. Now, if that’s going to air on ABC at 8pm EST in the United States (that's midnight UK time), odds are most of us will have already seen it by then. The Rogue One panel at Celebration is at 4pm UK time, which is 11am EST or 8am PST. Based on last year’s Celebration, odds are the trailer will debut there and then go online immediately after. You also have to wonder, what is this Secrets of the Force Awakens show? It can’t just be the DVD extra, can it?